This week, the website Genius caught flack for … something. Commentary? Abuse? Something in-between? Depends on whom you ask. Genius — which got its start as Rap Genius, a tool for annotating lyrics — recently unveiled a tool that lets users annotate, and view annotations on, any website. As you might imagine: Some people did not like that. This particular minor controversy began last week, when blogger Ella Dawson wrote a post on her blog about using the word “suffering” in conjunction with herpes. A writer named Sara Morrison — apparently a social acquaintance of Dawson’s who’d been criticizing the post on Twitter — then used Genius’s tool to annotate it. 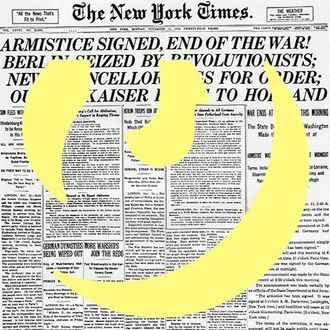 Genius’s newly minted managing editor, Leah Finnegan, joined in with four annotations of her own. The annotations are still visible, if you want to read them; it’s important to note that they’re critical, but not even Dawson has described them as “abusive.” Nevertheless, she wasn’t particularly pleased, and followed up the original post with another, called “How News Genius Silences Writers,” about how viewing her blog through the lens of the Genius tool felt “like discovering graffiti over some of my most personal work.” Genius, she argued, has the potential to “intimidate and silence marginalized voices … A tool that allows my abusive ex-boyfriend to interact with me and my content is a tool that should not exist.” (The ex-boyfriend’s annotations are hypothetical; Dawson is imagining a worst-case scenario for Genius’s use.) Genius users, of course, annotated this post as well; a few days later, Slate published a dramatically sub-headlined article (“A new tool wants to annotate everything on the Internet. But at what cost?”). And then, yesterday, a U.S. congresswoman got involved. More on that in a minute. The second is the technical implementation of Genius’s annotations. Genius works when users insert its web address — genius.it — before any URL. This allows a person to highlight passages and attach notes to them. For instance, if you wanted to annotate this post, you could add “genius.it/” before the URL. So, and this is worth saying explicitly: Genius’s software does not change, update, or affect the website itself. The various files that make up the product you get when you visit that website at its given URL are left totally unaffected. Genius upholds the distinction between original post and reaction, most clearly on a technical level: Morrison’s annotations on Dawson’s post are hosted on Genius’s servers and Genius’s platform, not on Dawson’s. But Genius’s interface blurs that line by presenting itself as a discussion layered directly on top of the original creation, albeit one out of the creator’s control. Worse, it doesn’t provide an easy way for website owners to prevent Genius from operating on their pages. (It has offered certain “editorial tools” to publishers, including to Dawson, though the company hasn’t publicly said what those are or how much control they provide.) You can see why people might freak out, especially on a small personal blog: In a vague but understandable sense, Genius grafts a comments section onto a page that might not otherwise have one. This might come across as a bit pushy, if not creepy, if you’ve never encountered it before. But there’s also really nothing wrong with it, except in the “this feels weird” sense: No one is under any obligation to use the Genius tool — and, in fact, until recently, not many people in this particular corner of the media internet have. Genius should make it easier for sites to opt out of its annotations, sure, but the entire experience is “opt-in” already: You have to install the Genius browser extension, or click on a different URL, to access annotations, effectively achieving the same kind of silo and control that has traditionally existed on personal sites. Clark’s letter, maybe unsurprisingly, seems to misunderstand the story (Genius hasn’t yet enabled abuse or harassment) and how Genius works — it doesn’t “inject […] comments directly into protected content.” Though, as noted above, the interface is easy to misinterpret if you’re not versed in its technical implementation. Still, Clark’s letter got a sincere response. Genius quickly responded with a statement saying that every single annotation published by users is read by a mix of staff and volunteer moderators on the service, and that they have no tolerance for abusive behavior on the service. The company also today introduced an omnipresent Report Abuse button that sits underneath every annotation. The question at this point becomes one of scale: The News Genius annotator and its community, in its nascent state, is small enough that it can monitor all of its content easily. But as the service grows — it does, after all, want to be the de facto discussion forum for every page on the world wide web — it’s not clear how to scale up safety measures. Moreover, as Genius becomes more widely adopted, its separation from the articles it’s annotating will become less clear: If “everyone” uses Genius (as “everyone” uses Twitter), avoiding its annotations would become more difficult, and the threshold for seeing potentially abusive comments would be much lower. Till then, it’s just another thing on the internet that you never need to look at.